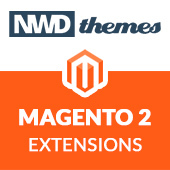 Wunderadmin – New Magento Admin Theme Extension was just released! Have you tired of default Magento admin skin or you want to change Magento admin theme for your client? Now you have easy and effective way to do it. Please welcome Wunderadmin – Magento admin theme extension that gives you control over design of Magento admin design. Lets see what we can do with it. You can change look and feel of Magento admin theme by choosing from 3 admin skins: Default Improved, Clean Blue and Modern Green. 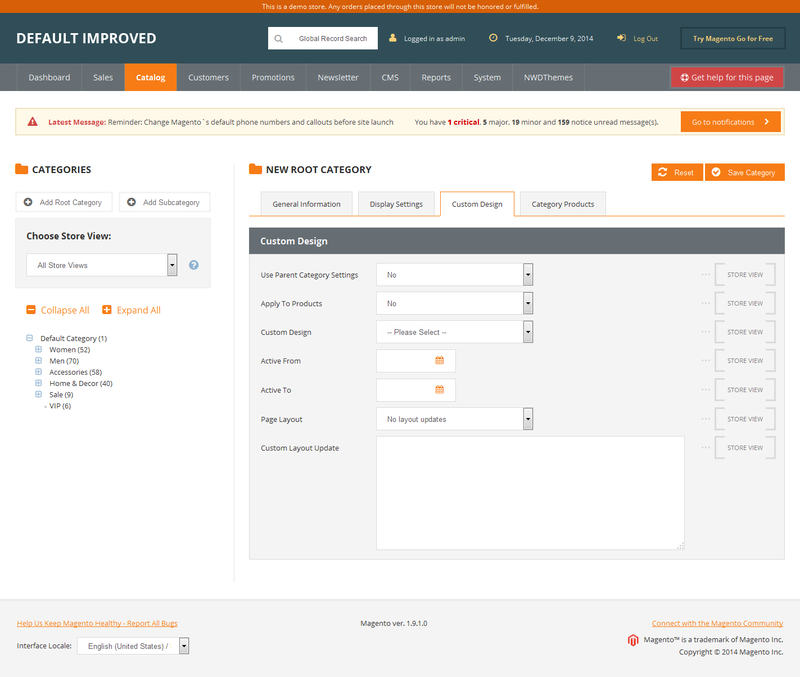 Default Improved Magento admin theme keeps mostly the same color scheme as default admin skin have. It improves it by increasing readability and usability of interface, making it more attractive and user friendly. Clean Blue Magento admin template changes admin skin more dramatically. Changing design to clean style it gives some fresh air and removing of unnecessary decoration elements lets user be totally concentrated on content and functions. Transformation of buttons to self explanatory icons with help tooltips makes use of this Magento admin theme more intuitive. 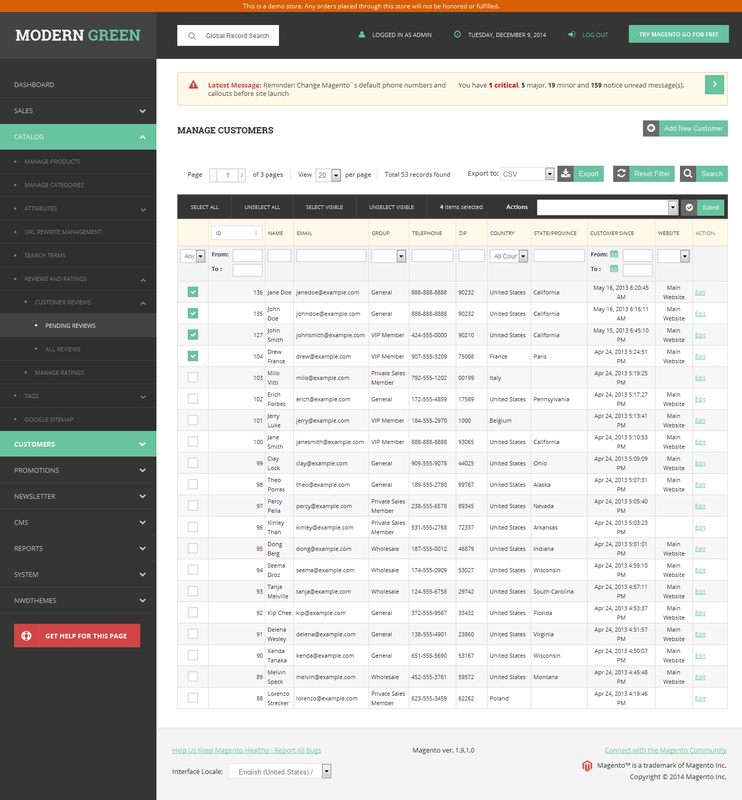 Modern Green Magento admin skin makes some awesome magic by turning navigation dropdown menu into left side bar accordion navigation to get more effective use of widescreens. 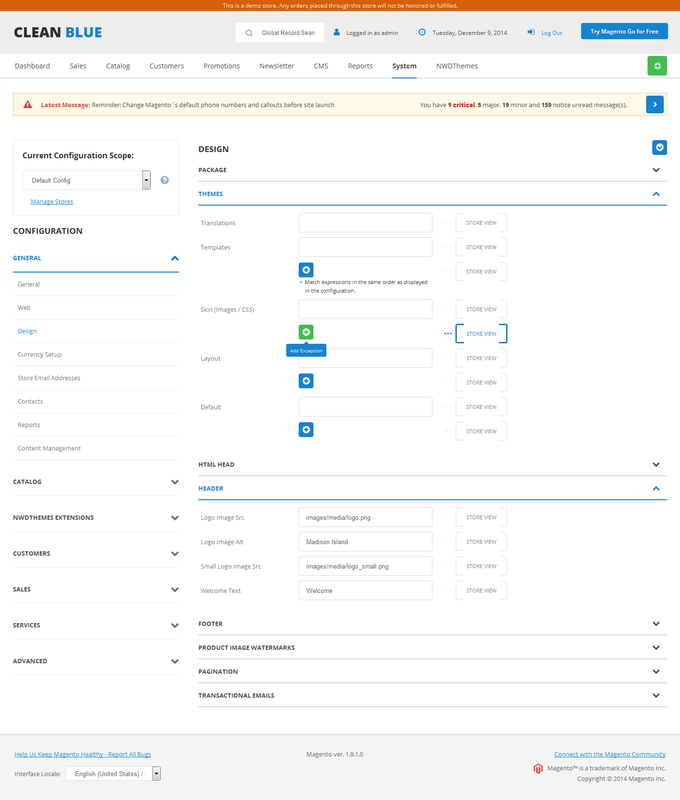 With improvements to interface elements with contrast buttons decorated with intuitive icons it gives absolutely new look and gives new life and soul to power of Magento admin panel. It will match well with your new front end ideas. All those 3 themes are fully customizable. This gives you ability to create Magento admin custom theme easily just using power of Wunderadmin extension. Lets take a closer look what we have under control there. Upload custom admin logo. 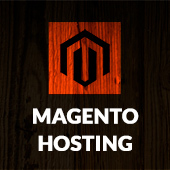 You can choose your of your clients brand logo and integrate it in Magento admin panel. 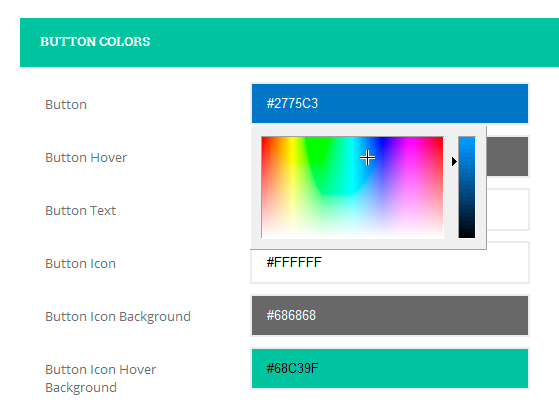 Easily change colors of your Magento admin template using color picker. You can find controls for all interface elements and give you ability to make your Magento admin skin match color scheme of clients brand or front end design of Magento store. Wunderadmin Magento admin skin extension have feature to set custom font to all text or some parts of admin console. You can choose from 500+ of Google Fonts to give unique look to your Magento admin template. Another useful feature is import / export of skin color settings. This way you can save various settings of Magento custom admin skin and import previously saved or download from collection of color schemes created by developers and contributors. We would recommend this Magento admin skin extension for both store owners and to Magento theme developers. It will suite needs of customizing Magento admin theme perfectly. Extensions, Magento, News, Themes, Wunderadmin admin, extension, magento, magento admin theme, skin, template, theme, wunderadmin. permalink.